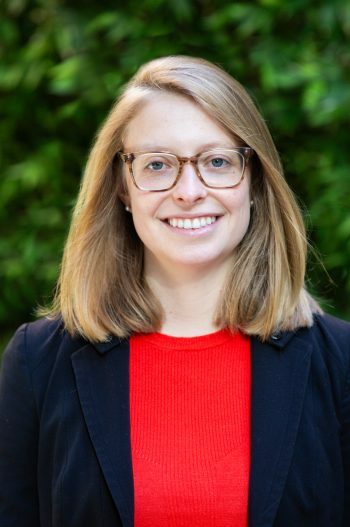 Amanda Myers is a Policy Analyst at Energy Innovation, focused on policy research and analysis for America’s Power Plan, which offers customized expertise and resources to policymakers working to make the grid clean, affordable, and resilient. She also provides project support to Energy Innovation’s leadership team. Prior to joining Energy Innovation, Amanda was a Public Policy Manager at ChargePoint. In this role, she focused on policies promoting of electric vehicle infrastructure deployment and adoption, including EV-ready building codes across North America, clean fuels markets, and local policies. Before ChargePoint, Amanda was a Public Affairs Manager at SolarCity, where she led and supported communications and public engagement efforts for rooftop solar advocacy campaigns across the United States. During her undergraduate studies, Amanda interned at the Environmental Law & Policy Center and at the White House Council on Environmental Quality. Amanda holds a B.A. in Political Science, with minors in Chinese Language and Business Institutions, from Northwestern University. She also spent a summer at Peking University in Beijing studying Mandarin and China’s political economy. Are Automakers Overestimating EV Demand?